Gluten Free Ice Cream from a banana!! 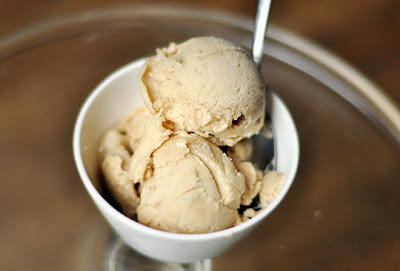 Super-creamy, super-easy ice cream from just one thing, banana! 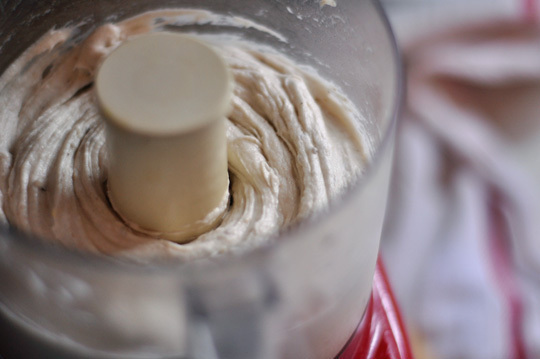 The smidgen of fat in bananas makes a magic trick when they are frozen and blended up. They turn creamy instead of crumbly, with a smooth texture that will knock your socks off!! Hubby was bowled over when I made this. I've seen the recipe many times online..not sure who posted this first or who figured it out but try it guys, it's a big Moneysaver over gluten free ice creams. I'm looking forward to making it with lots of different ingredients and flavors in the future but even plain it's truly wonderful! Here's a step-by-step of how to do it. • Peel your ripe bananas first- We only had 2 bananas and it turned into a lot of ice cream!! • Cut bananas into small pieces. • Freeze for 1-2 hours on a plate or I throw them in a baggy and freeze overnight. • Put the frozen banana in your large food processor or heavy duty blender and blend, blend, blend - scraping down the bowl when they stick. I added a little almond milk to make it move. Don't use much or your ice cream will be too soft.